Dame Mary Peters has been appointed patron of the Northern Ireland Commonwealth Games Council. The Northern Irish woman won Olympic pentathlon gold in 1972 and her career also had three Commonwealth Games titles, including a shot putt triumph. Following her retirement in 1974, Dame Mary, who is now 76, led the successful campaign to have an international standard track built in Belfast. She managed the British Athletics team at the 1980 and 1984 Olympic games. Dame Mary is also well known for her charitable work in Northern Ireland which includes her own Mary Peters Trust which supports young athletes throughout the province. The Olympic gold medallist was awarded an MBE for her services to athletics in 1973 and was promoted to Dame Commander in 2000 before being made a Companion of Honour by the Queen in the 2015 New Year's honours list. She has appointed Lord Lieutenant of Belfast in 2009 and has received the Freedom of both Belfast and Lisburn. 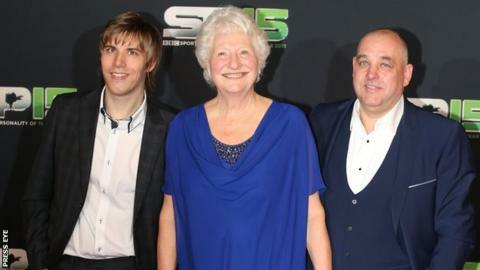 Dame Mary said she was "delighted" to be named patron of the Northern Ireland Commonwealth Games Council. "Having competed for Northern Ireland in five Commonwealth Games, winning three gold and one silver medal, I feel privileged to, once again, help to represent Northern Ireland on the world stage," she said. "Following the success of our athletes in Glasgow 2014, I am looking forward to more success at the Friendly Games in Australia in 2018." The Northern Ireland Commonwealth Games Council's primary task is to select teams for both the Games and the Commonwealth Youth Games.